Property 7: Lakefront 2BR Cottage w/ Screened Porch, Large Yard & BBQ – Newly Updated! Property 9: Hurricane Pines - Across the street from the beach! Property 16: #502: COMPLETELY renovated, walk to water and preservation land! Property 18: East Otis Reservoir Cabin w/ Porch - Walk to Lake! Peaceful Ocean-View Cottage at Rocky Shores - Sea breezes, close to beaches! Property 21: Peaceful Ocean-View Cottage at Rocky Shores - Sea breezes, close to beaches! Beautiful 2 Bdr,1 Ba, West Island Cottage With Water Views, Steps From The Sea! Property 33: Beautiful 2 Bdr,1 Ba, West Island Cottage With Water Views, Steps From The Sea! Property 35: Eastham, MA - Charming Cottage - Steps to the bay and private beach! Make Lasting Memories In This Adorable Vineyard Cottage! Property 38: Make Lasting Memories In This Adorable Vineyard Cottage! Holbrook House: Charming Rockport Village Cottage, Walk To Everything! Property 42: Holbrook House: Charming Rockport Village Cottage, Walk To Everything! 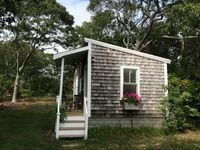 Property 44: Quintessential 2BD Cape Cod Cottage--Steps from the Beach! Property 45: #419: Dog friendly cottage in unbeatable waterfront location with amazing views! Property 48: #304: Beachy keen cottage! Across from Mayo Beach, and short walk to downtown! Priscilla Beach Cozy Cottage-5 min walk to beach!! Property 50: Priscilla Beach Cozy Cottage-5 min walk to beach! !